After breakfast drive to visit 1000 year old Alchi monastery the only Gompa in Ladakh region on flat ground. Thereafter proceed to the Likir Monastrey to visit the splendid three storeys Dharma Wheel Gompa. Here you'll be awestruck with the sight of the massive Buddha statues., Indus & Zanskar river Sangam, drive along the Indus river visiting, Pathar Sahib Gurudawara and Magnetic Hill (where the cars defy gravity), Basgo Palace Hiking only and further on to Leh Hall of Fame (which has a museum of the Kargil War memorabilia) Overnight stay at the hotel. After breakfast drive to Pangong via Shayok valley , This region actually comprises two valleys: Nubra and Shyok. Both their rivers rise amidst the remote and heavily glaciated peaks and trough of the Karakoram Range. 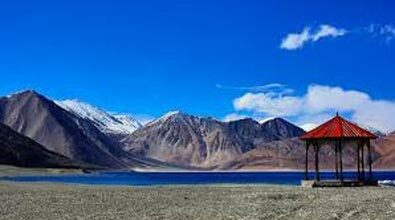 Arrive Pangong Lake it is the highest salt water Lake in the World, shared by two countries India & China. 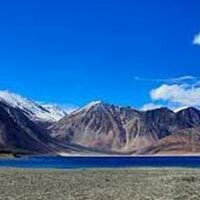 Enjoy the beauty of the lake on the Banks of Pangong Lake while appreciating the changing Colors and fascinating high altitude of the Lake. Overnight stay at the camp. After breakfast visit lake at Sun rise and drive back to Leh via Changla-pass enroute visit Shey & Thiksey Monastery. Overnight stay at Hotel. Early morning, drop at the airport to board your return flight.